A couple years ago I made 8 bold predictions for 2007. I decided to sit last year out after only the most obvious of the eight actually came to pass (increasing direct to consumer wine sales). But some progress was made on the list in 2008 with Tyler Colman, a.k.a Dr. Vino truly “going pro” with the publication of not one, but 2 wine books. Not to mention the entire Gary Vaynerchuk story which played out in a big way since I made that prediction. Some of my other predictions also made some progress toward fulfillment so I’m going to add six more for 2009 today. The Year of Value – This prediction is really not that much of a stretch since the world economic downturn has made it a lot more challenging for wine producers to sell higher priced wines. Anything above $25 a bottle will be a tough sell in this environment with a lot of competition for consumers in the $10-15 price category. Look for some producers to just lower their pricing while others, such as Cameron Hughes, Mark West and Castle Rock, will be perfectly positioned to gain market share. 2009 is the year of extreme value that might also spark more interest in wine auctions as consumers look to maximize their purchasing power. Wineries Really Go Direct – More wineries are exploiting direct to consumer sales and I expect to see a lot more growth in this area particularly for higher priced brands. The economics of direct sales and shipping will be a major advantage for wineries who can create enough pull with consumers. With wine tourism down due to the recession, I see the winners being those who create this pull online via ecommerce and, increasingly, a social media presence. Alternative Packaging – As wine lovers become more concerned about the carbon footprint of their favorite beverage, more will look for wine packaged in bag-in-box or TetraPaks. As I’ve blogged here in the past, I hope to see better quality wines in these packages particularly those wines intended for immediate consumption. 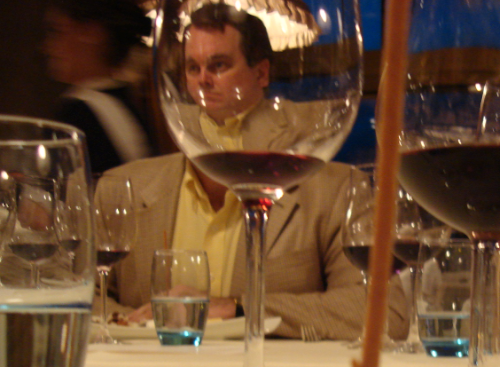 Wine 2.0 Will Produce A Star – I’ve written about the intersection of Web 2.0 and wine for some time now but there has not been a breakout success story yet. This year will produce at least one star who will finally validate this space. My money is on Snooth right now but this could change as the year progresses. Stay tuned for a lot more on this subject here soon. Wine Media Goes Digital -The traditional glossy wine magazines such as Wine Spectator and Wine Enthusiast will be forced to rethink their print business model this year and go more digital. I still think there will be the same amount of wine publications produced but the ones that are left will have figured out how to make money from their online presence and not just by print advertising sales. Of all of these magazines, Wine Spectator is the best positioned to flip the switch, open up their subscription site and become supported by their online advertising inventory. But I don’t expect to see them do this because they will see too much short-term risk in their current, but doomed, business model. 2009 will be a great year for new entrants trying to figure out this territory like Mutineer. Americans Drink Less Wine At Lower Price Points – This prediction is linked with my first one but I think it’s important to note that the wine market in the U.S. will not grow as it has in the past. Not only will consumers drink less wine they will trade down to lower priced selections. With the U.S. dollar increasing in value, this will make imports more attractive especially from the Old World where vineyard land is a long sunk cost. So there you have it; six bold predictions for 2009. I’ll revisit these in June and again in December to see what really happened. Which ones do you think are right, dead wrong or what did I miss? NÃ©gociant Cameron Hughes has made a name for himself selecting and sometimes blending wines that drink like twice or sometimes three times their asking price. Using direct to consumer marketing on his website and distribution through warehouse retailers like Costco and Sam’s Club, Hughes effectively disintermediates the 3-tier wine distribution system here in the U.S. This means he can make money selling $10-20 wines that he sources from some of the top producers around the world. 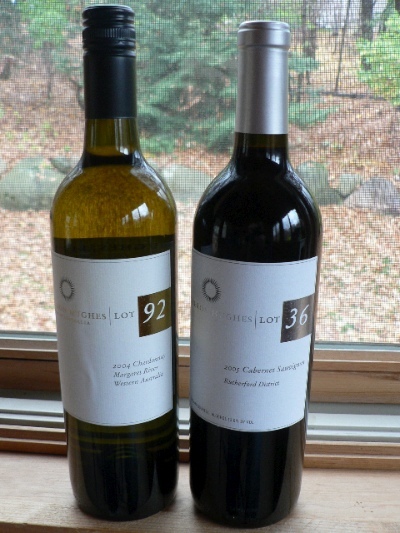 This past Saturday I presented three of his wines as part of Twitter Taste Live 5. All the wines were provided by Cameron Hughes as samples but I was very impressed with each wine which I will review over the next few weeks here. But the most impressive wine was a new release today, Lot 93, a 2004 Tempranillo from Spain’s Rioja region. When I opened this wine Saturday, the brand on the cork indicated the producer is Bodegas Covila. On my visit to the region last year, I was struck by how every winery seemed to age their wines as “shiners” or unlabeled, selling the wine when it was “ready to drink.” This old school philosophy makes many wines from Spain tremendous values and provides stock for folks like Cameron Hughes to buy and label for his customers. The result is one of the best values I’ve ever seen as this could easily sell for $50-60 a bottle. 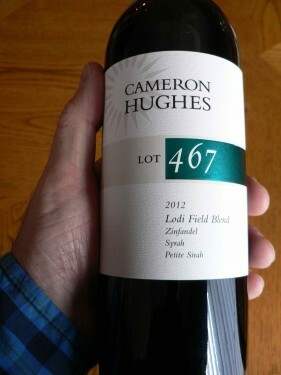 Cameron Hughes, “Lot 93”, Tempranillo, Rioja 2004 ($21/sample) – Dark ruby in color with black cherry, cassis, fennel, cocoa and vanilla aromas. Sleek and concentrated black cherry & dark currant fruit with some black pepper and a touch of earth finishing long with firm, but surprisingly well integrated, tannins. A well structured wine that will age for another 5-8 years. The most extreme value I’ve tasted yet from this nÃ©gociant. Highly recommended. I’ve been involved with Twitter Taste Live since the second tasting and will be participating again next time when the theme is “Bloggers Take Over.” In past tastings wineries have presented a selection of wines and wine lovers from around the world then posted their thoughts on Twitter while tasting the same wines simultaneously. But the next time out each wine blogger will be able to pick their wine(s) and give you the chance to pick them up and taste along with us on November 15th. Consistent with my theme of Wines For Recessionary Times, I will be tasting two wines from Cameron Hughes, one of my favorite purveyors of extreme value wine. I have selected Lot 92 2004 Margaret River Chardonnay and Lot 36 2005 Rutherford Cabernet for the tasting. The Chardonnay is available for just $14 at the Cameron Hughes online store but Lot 36 is only available in Costco or Sam’s Club stores (I paid $12.88 today for Lot 36 at Sam’s). So pick up one or both of these wines, friend me up on Twitter and taste along with me on November 15th. I’ll be posting a follow-up with the approximate time of the tasting next week and, of course, tweet about this too. I hope you will join me or at least follow along on Twitter Search using the hash tag #ttl. Has The Time Come For $45 Box Wines? Tonight I finally opened a wine sample I received earlier this year… a 3L box of California Chardonnay. I’m not much of a box wine guy because most I’ve had are really nothing to write about. At best, they are clean, simple wines sold at low prices. And this sample is not plowing that much new ground as it succeeds as a nice $6 wine… but I’m looking for a great $12 wine like the ones I normally drink on weekdays. Has the time come for a $45 box wine? Something on the order of an Eric Solomon, Terry Theise or Cameron Hughes selection would do well with wine lovers and I’m hoping to see something like this in the future. The big problem will be one of consumer perception which makes this category a problem sell at much over $25 a box. 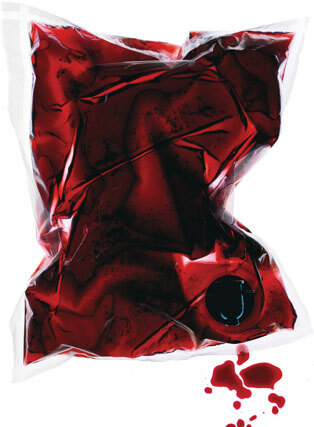 So I hope that some enterprising distributor or importer will package their better wines in 1 liter TeraPacks. It’s better for the environment and saves fuel in shipping, a rising problem these days. Who’s going to innovate here?